Expand search to view more listings in and around Charlotte. 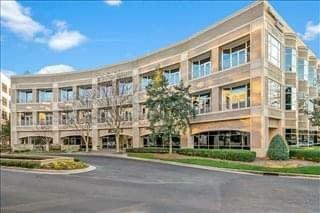 See more offices in and around Charlotte. 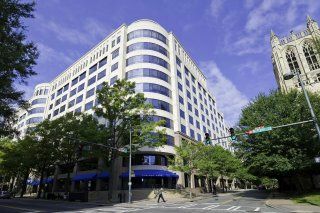 We have furnished office space available for rent in Charlotte, North Carolina, in Class A buildings, office parks and shared workspaces, which we can offer on an easy move-in, move-out basis. These fully serviced and equipped spaces for rent are available now in prime business locations on short term rental contracts (1 month to 1 year), giving your business flexibility in how much space you take and for how long. 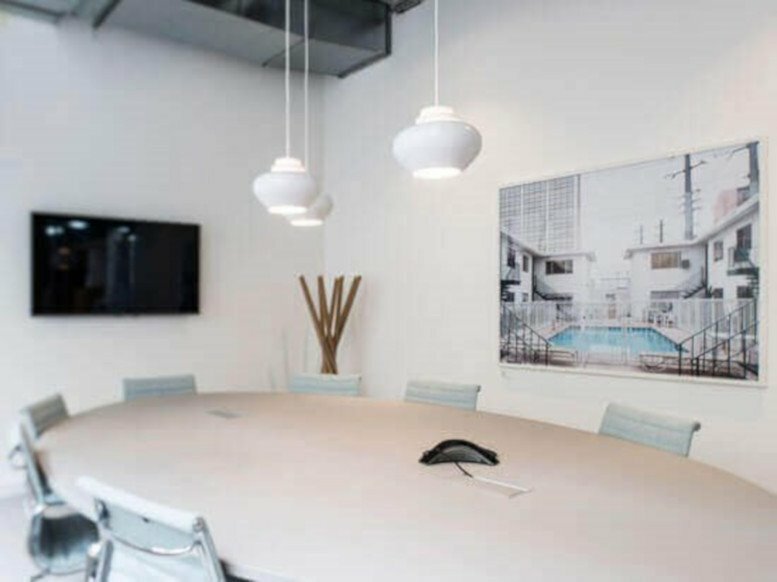 Whether you require an office property, a single furnished office or executive suites for rent - Offices.net can help you find the ideal business address. 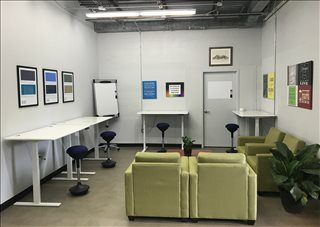 At very affordable monthly rates per person, the spaces for rent that we feature provide an easy solution to working in Charlotte, and in many cases also offer the option of increasing or reducing the amount of space rented at very short notice. This type of flexibility may be ideal for start-ups and companies that are expected to grow fast, as well as for project teams. 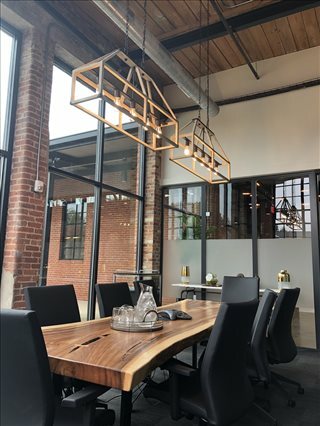 For businesses that prefer to lease office space we offer a range of high quality spaces available on conventional lease agreements..
Local Office Market: The local office market amounts to approximately 68 million square feet, and 26 million of those are in downtown Charlotte. The market is divided into central districts (CBD and Midtown), plus suburban sub-markets including Airport, Highway 51 / Ballantyne, University, Southpark, Northeast / I-77, Park Road, Eastern suburbs, Crownpoint, Northwest, and Cotswold. 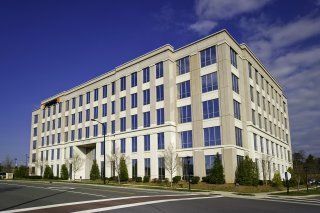 Vacancy Rates and Costs per sq ft: Charlotte is known for its high levels of construction and low vacancy rates, which have been decreasing year after year since 2010 as an indication of the strong demand for office space in the city. 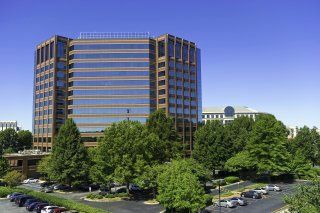 Class A offices go for $30 / sq ft/ year in central Charlotte and $25 in suburban sub-markets. The highest rents outside the CBD are in properties in Southpark, University, and Cotswold (all in the high $20s), whereas on the other hand, the lowest asking rents are in properties in Crownpoint, East, and Northwest Charlotte (2017 data). 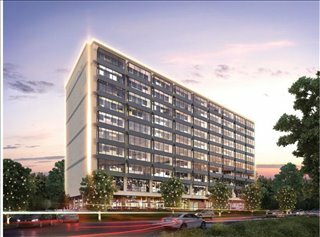 Prime Business Locations: Looking ahead, the most active markets will be Midtown, Crown Point, and Highway 51 / Ballantyne, as well as the Airport area, where several new developments will be built with projects like The Edison, Arrowood Station, and One Silver Crescent. Most of the office parks, buildings and business centers we feature are inclusive of a range of support services such as reception and on site IT support staff, internet and WiFi services, business lounge and meeting room amenities. 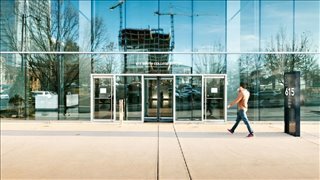 In addition, a number of the furnished office buildings provide free car parking, 24 hour access, dining facilities and break out areas. 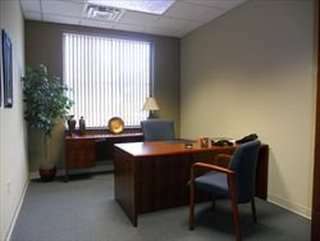 Many of these, and other amenities and facilities, are included in the single monthly office rental price. With its growing population and a rapidly expanding economy, Charlotte is one of the largest metropolitan areas in the United States and has leading rankings in GDP growth, surpassing San Francisco, New York, and Chicago. The city's economic worth is the 60th largest in the world, which highlights the crucial value of Charlotte as an industrial and economic engine. 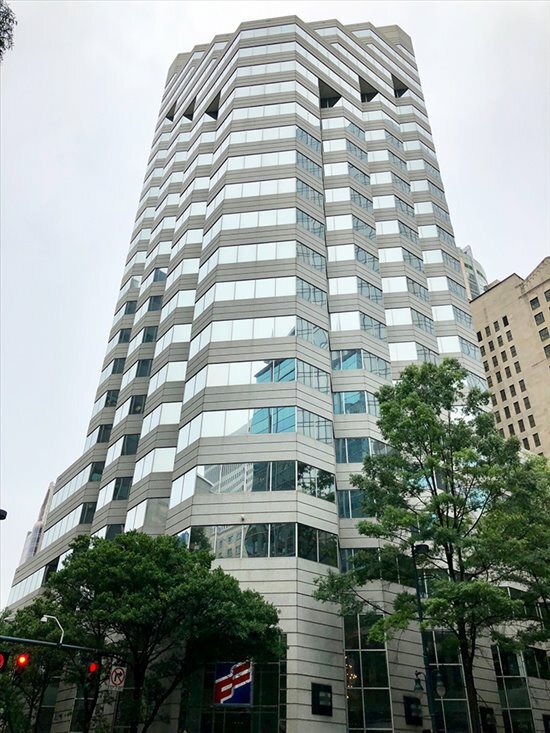 Finance employs more than 56,000 people across Mecklenburgh county (to which Charlotte belongs), and the city itself is the second largest financial center in the nation. Other important industries are healthcare, social assistance, food and drink, recreation, educational services, admin support, and construction, which has annual job growth levels of over 10 percent. There are also a number of target industries where higher returns are expected. These include FinTech and financial services, advanced manufacturing, call center services, analytics and technology, aviation and aerospace, healthcare, transportation, and logistics. Many finance and banking corporates have their headquarters here, and some Fortune 1000 are based in Charlotte, like Bank of America, UTC Aerospace, SPX, Toshiba America, MetLife, and Electrolux. These corporates provide nearly 250,000 jobs and their economic input is estimated at $67bn / year. Other important employers include Carolinas Healthcare System, University of North Carolina, American Airlines, Lowe's, Walmart, Daimler Trucks, Duke Energy Corporation, AT&T, Compass Group, Target, Time Warner, and public sector employers such as City of Charlotte, North Carolina State Government, and the US Postal Service. Charlotte, NC has benefited from a steady inward migration for over a decade, leading to workforce growth. In this labor market, nearly 45 percent of all residents have a degree or a graduate qualification. 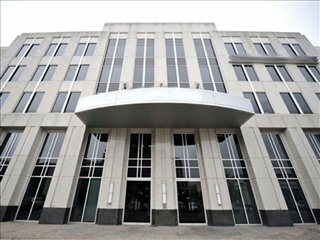 Future prospects appear encouraging, since according to a US Census Bureau report, job creation in Charlotte will grow exponentially in sectors like education, healthcare, public administration, management, science, arts, finance, real estate, and insurance. Median salaries that are higher than in most southern cities, high livability rankings, and affordable housing are also a draw for young graduates. The city offers business owners a strategic East Coast location, proximity to an international airport, and assistance with workforce development efforts in eligible sectors as a result of the collaboration between educational institutions and government agencies. 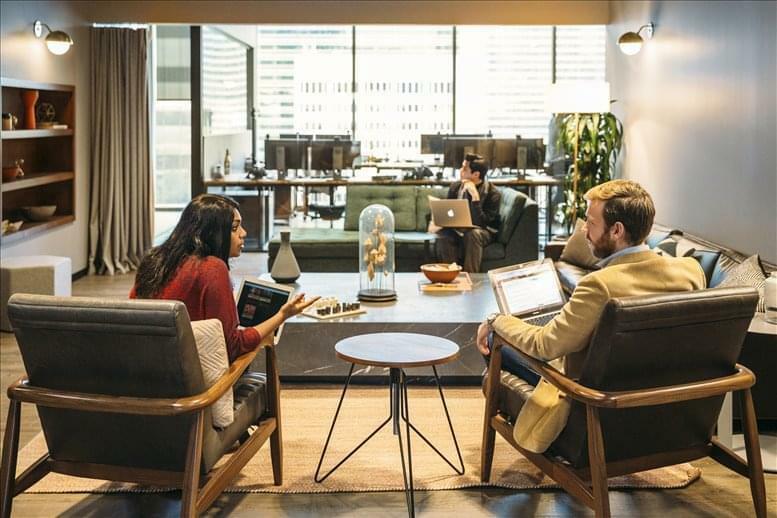 Generally speaking, the fastest-growing companies are involved in software, IT, financial services, computer software, and human resources, which points at the areas with the most potential for entrepreneurs. 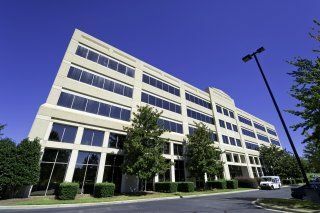 Charlotte is an ideal spot for office rentals. The city is the largest in North Carolina, the second largest in the South-eastern United States, and the sixteenth largest in the United States. With a population of over 2.3 million people, the Charlotte metropolitan area is one of the largest in the country. The city's Charlotte Douglas International Airport is one of the busiest in the world. 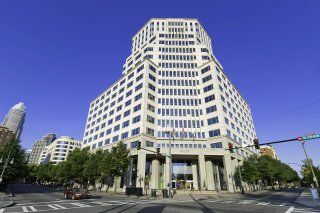 Charlotte is the second largest banking center in the U.S. after New York City. It is the home of major energy, foodstuffs and transportation companies. One of the fastest growing major cities in the country, Forbes recognized Charlotte as one of the best places for business and careers in 2013. Charlotte is also the home of the NASCAR Hall of Fame, Carowinds, the U.S. National Whitewater Center, and several major sports teams. Known as the 'Queen City', Charlotte was named after Charlotte of Mecklenburg-Strelitz and the wife of King George III. 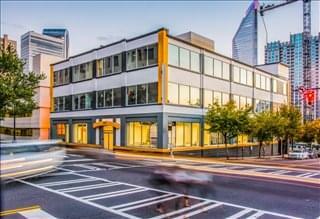 We would love to help you search for the perfect Charlotte, NC office space for lease or flex space for rent. 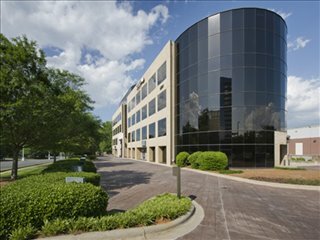 Simply choose one of the offices to rent in Charlotte above. The furnished office space listed on this site is in a prestigious business location, and is available for lease or rent on flexible terms. 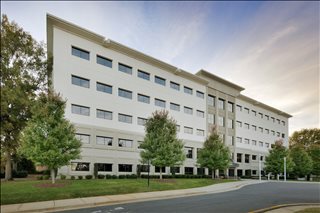 Offices.net has an impressive selection of excellent commercial space and executive office suites available in other North Carolina locations, all available for rent on flexible leases or terms that suit you. Whatever your office requirements, contact us using the form or phone number on this page. 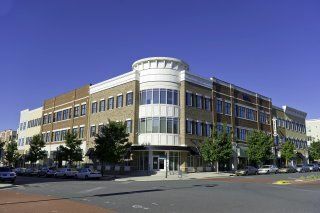 Here at Offices.net, we will do all we can to help you find the perfect office condo, industrial space, or all-inclusive office for rent in Charlotte, NC.